KLM Royal Dutch Airways operates its in-house booking site and service. On the site, visitors can search and find flights wherever the airline operates globally. Visitors (and customers) can plan and book their trips, get great tips for travel, access customer support, and join/check the rewards program. 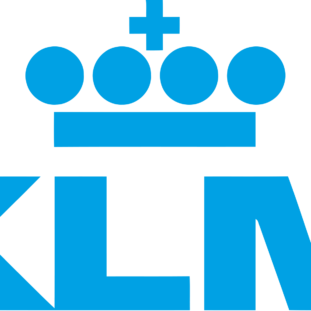 The KLM airline is best-in-class, takes no booking fee, real-time flight updates, and a wonderful cancellation policy making them one of the most humanized airlines in the industry. The KLM affiliate program pays 1% – 1.5% of revenue for flight bookings made on their site. This commission structure is set to medium and long haul (short vs long flights). After joining the KLM program, partners gain access to mobile & cross-country tracking, link makers, a flight widget, product feeds, and custom-made banners. The program uses a 30-day tracking cookie. The KLM affiliate program is open to all but they’re specifically looking for those in the travel-related niche and comparison shopping space. This program will become specific to those located in Europe since most destinations and offers stick to this region. More than 20 million passengers fly KLM each year making your potential, target audience quite large and lucrative. Travel blog monetization has mostly moved to the all-in-one sites for their commissions for easy-of-use and payouts. However, there are a few airlines still offering individual programs – KLM one of them. This partnership, even with its 1-1.5% commission rate, could prove profitable since it’s paid directly (without a cut from the all-in-one sites). The offer and promotions of the KLM airline are some of the best in its industry. KLM doesn’t provide the cheapest prices, but they do offer some of the best experiences and services in its industry. You’ll want to join the KLM affiliate program if you’re located in Europe or want to add tailored listings to content focused on European travel.